Logan Owen is set to make his WorldTour debut with EF Education First-Drapac at the Tour Down Under later this month. In their desperate search for a new sponsor late last year, Cannondale-Drapac spent plenty of time in the headlines. 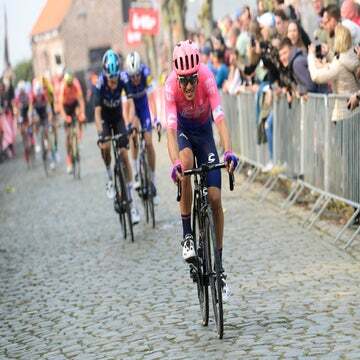 The team’s battle for its very existence and the excitement of EF Education First stepping in to save the day, however, left little room to focus on what might have been an otherwise intriguing transfer season, one that saw the team sign a number of promising riders — among them, 22-year-old American Logan Owen. With the calendars now turned to January, the Washington native is officially a WorldTour rider, a goal many years in the making. 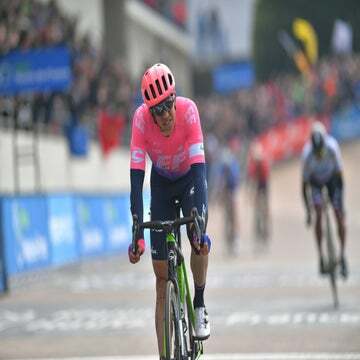 With multiple national titles in cyclocross and on the road as a junior and under-23 rider, as well as a U23 Liège-Bastogne-Liège win on his palmares, Owen has been a highly regarded prospect for years. He battled injuries in 2017, his fourth season with Axeon Hagens Berman and his first year fully dedicated to road racing, but impressed Jonathan Vaughters’ squad enough to earn a contract for 2018. Now, he’s just two weeks away from pinning on a race number at the WorldTour level at the Tour Down Under. At least for the moment, Owen seems to be balancing the unavoidable nerves with the confidence necessary to ride in the pro peloton. Unlike some of the other riders in the peloton, Owen won’t have had much of a chance to get to know his teammates, as they are headed Down Under without having ridden a training camp together. He isn’t worried. Owen expects to be finding his sea legs racing at the sport’s top level in the early goings of the season. He says helping the team is his central priority, though he won’t shy away from chances to nab results when they fit into the squad’s plans. 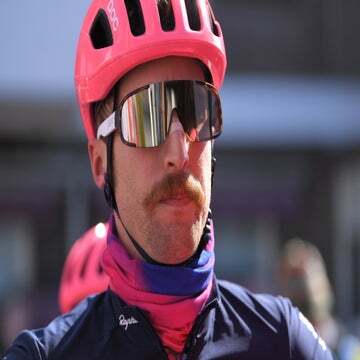 Despite his strong palmares as a junior, Owen’s journey to the WorldTour level took a bit longer than he’d hoped, with the 2016 season not bringing much in the way of contract offers. He wouldn’t mind showing the teams that passed on him what they’re missing. The specifics of his calendar have yet to be nailed down but Owen has at least a rough idea of the plan for the first several months of the year. Owen has a broad skill set that has allowed him to contend on a variety of terrains as an up-and-comer, but he is starting to hone in on his objectives as a rider and expects his foray into WorldTour racing to help with that. With plenty of big opportunities on the horizon, Owen is in a good place to start the season. He’s even enjoying watching cyclocross from afar, which wasn’t easy to do this time last year.